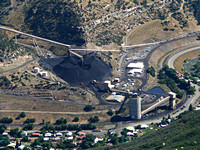 The BLM is currently considering lowering the royalty rate paid for coal produced from the West Elk mine, asking taxpayers to surrender over $10 million in royalty payments. BLM is seeking input from Gov. Hickenlooper by September 2nd. Contact the Governor here or by calling 303-866-2471. 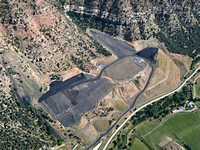 The West Elk Mine is an underground coal mine located east of Somerset in Gunnison County and has been in operation for 30 years. 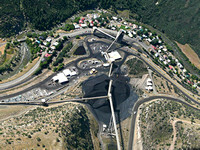 In 2011, the West Elk Mine was the second largest coal producer in the state with 6 million tons of coal per year. 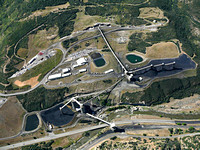 In 2013, federal officials approved two lease modifications, which allowed for an expansion of the mine. 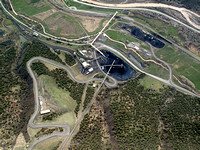 The West Elk coal mine is underground, but to prevent methane explosions like the one at the Upper Big Branch mine in West Virginia, methane venting wells are drilled above the mine and spew millions of cubic feet of the potent greenhouse gas into the air every day. Not only is methane 25 times more potent a greenhouse gas than carbon dioxide, but the vents would require miles of roads and giant well pads to drill them. 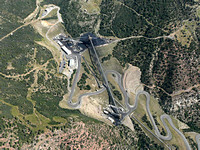 In this case, the proposed expansion would require bulldozing 6 miles of roads and 48 well pads in the roadless area. 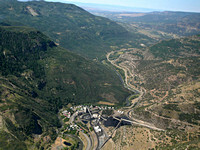 Conservation groups challenged the decision to allow the mine expansion, arguing that the agency needs to take a harder look at the impacts to the roadless area and climate change, and that the National Environmental Policy Act (NEPA) requires thems to look at options to reduce the damage from methane venting, which they have failed to do. In June 2014, the federal court rejected the approval, citing agencies’ neglect to consider climate change impacts. 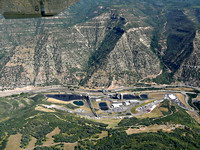 In 2012 nearby Elk Creek Mine partnered with Aspen Sking Company to capture fugitive methane emissions from the Elk Creek Mine to generate electricity. The 3-megawatt facility will generate enough power to run all of the ski company's operations, including 4 mountains, 3 hotels and 17 restaurants. By capturing the otherwise wasted methane, the project eliminates 96,000 tons of carbon dioxide from the atmosphere each year.